Probably some of people haven’t hear her name yet. Well, Lee Joon-ha might be ain’t a familiar name. 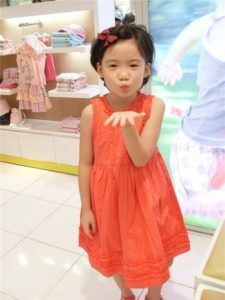 But, she’s one of the Korean child actress that has been appears in many movies and TV shows. Lee Joon-ha increasingly famous after her appearance in Midnight FM (2010) and The Suicide Forecast (2011). When she was starred in those films, she was still in 9-10 ages. Now, Channel Korea will give you the general information about Lee Joon-ha! Started her career in such a really young age, her image as a child actress attached to her. Here’s the list of Lee Joon-ha’s TV series and films! Which one of them that have you seen? Based on her role in Midnight FM and The Suicide Forecast, her name starting to be recognized by people. In Midnight FM, Lee Joon-ha starring as Ko Eun-soo, a sick daughter and can’t talk from Ko Sun-young, a Radio Announcer. 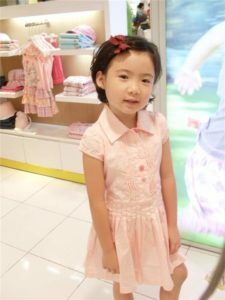 In The Suicide Forecast, Lee Joon-ha appears as one of child from Bu Book-soon. Lee Joon-ha also has been in the same film with the famous Goblin actor, Gong Yoo. They were filming Finding Mr. Destiny that has been released in 2010. Lee Joon-ha starring as Woo-ri, a niece from Gi-joon (Gong Yoo). Lee Joon-ha’s past TV shows and films are released in 2010 and 2011, that means it’s already 7 years since her appearance in entertainment. There’s no recent news about her, even her recently appearance. Well, let’s guessing how’s her recent looks and hopefully she will come back to entertainment and continuing her acting career! Ji Jin-hee’s Appearance On ‘Running Man’ Episode! Wow! Let’s Take a Look at GOT7’s Handsome Manager!